Lizards are considered pests even when they actually are creepy cold blooded reptiles. 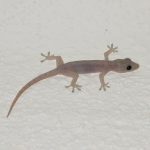 While lizards are not directly responsible for any disease/s, it leaves behind its droppings and eggs at completely unexpected places, such as between the clothes in our closets; leading to foul smell. Not only is this unhygienic but also harmful when it drops in food. CONTROLThey especially prefer ants. They are solitary animal but they may occur in large nos. where there is an abundant vegetation & moist conditions. Lizards are common pests in houses, factories & building,. There are several different types of lizards that are naturally occur in and around houses, building, factories. They may be a pest according to season or geographical regions. Lizards are pest simply by their presence indoors. They do not live or infest indoor areas but come from surrounding while most people do not like lizards or are frightened by their presence on interior walls and counters. These animals are not harmful. They will not bite people or pests. The ClearZone Man can come periodically to monitor your premises and help prevent an infestation with LIZARDS.